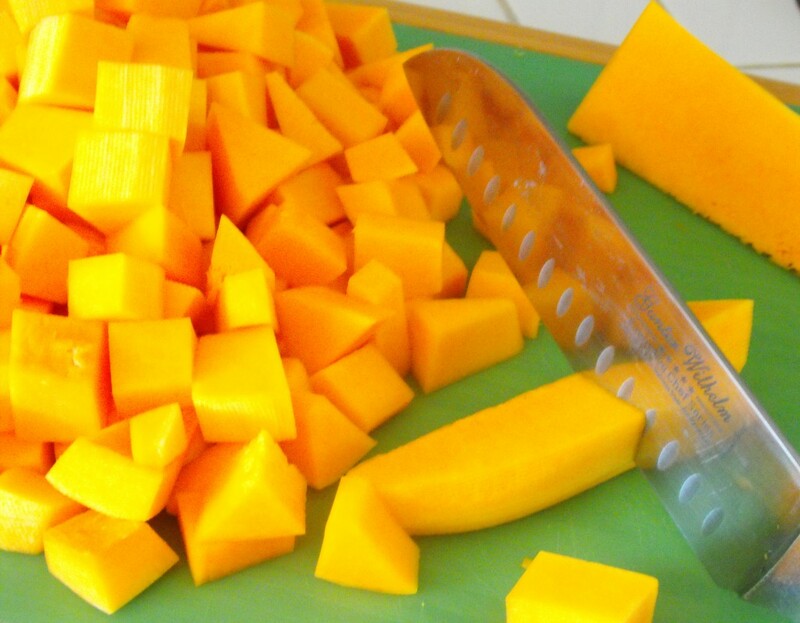 The first step in this baked butternut squash recipe is cutting into cubes. With big, odd shapes, winter squash can be difficult to cut if you’ve never done it before. It’s important to do it properly to ensure safety, but once you’ve done it, it’s easy peasy.... Cut the squash into rings as thick as you want your cubes to be. In other words, if your recipe calls for 1-inch cubes, cut the squash into 1-inch rings. Slice the rings into long rectangles and then into cubes. A few of the end pieces will be more triangular in shape, but that can't be avoided and is actually just fine! Step 1 – cut off the top and bottom of your butternut squash. Step 2 – peel the squash with a vegetable peeler (alternatively you can stand your squash upright and use the curved tip of your chef’s knife to peel from top to bottom) Step 3 – cut the top skinny part of the squash into rounds of your desired thickness how to draw a easy cute pumpkin Transfer the cubed pieces of squash to the baking sheet and toss the cubes in the olive oil. The olive oil adds flavor and crispiness to the outside of the squash cubes while keeping the squash from sticking to the baking sheet. Place the baking sheet into the preheated oven and cook the cubes for about 30 minutes to 1 hour, or until you can easily pierce the squash cubes with a fork. 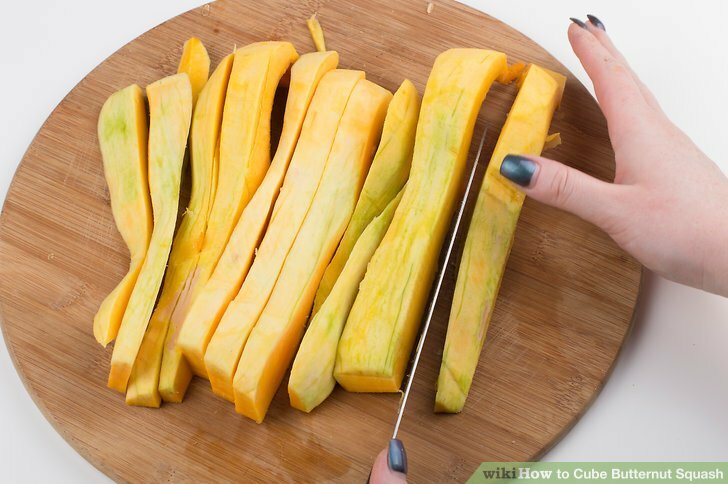 Transfer the cubed pieces of squash to the baking sheet and toss the cubes in the olive oil. The olive oil adds flavor and crispiness to the outside of the squash cubes while keeping the squash from sticking to the baking sheet. Place the baking sheet into the preheated oven and cook the cubes for about 30 minutes to 1 hour, or until you can easily pierce the squash cubes with a fork.